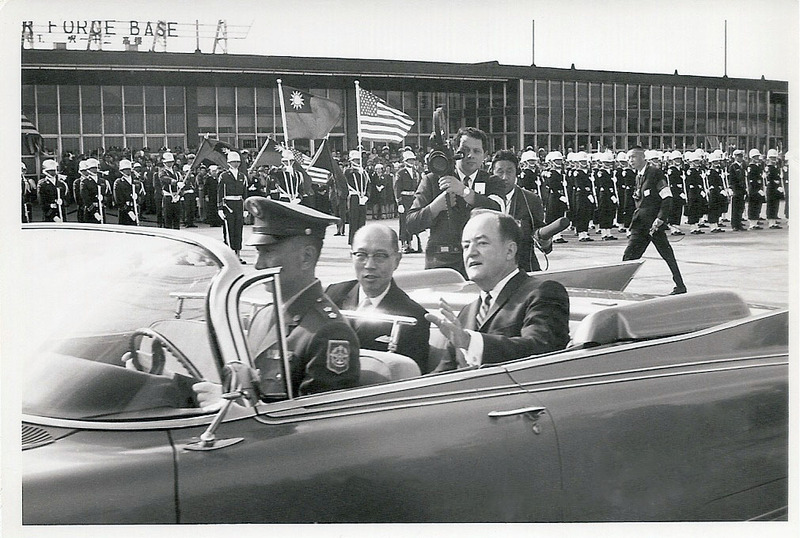 46 Years ago today, 1 January 1966, on a sunny, crisp morning in Taipei, VP Humphrey arrives. Vice President Humphrey's Air Force Two departed from Manila early on January 1st for the short flight to Taipei. Accompanying Mr. Humphrey on this trip, were his wife, one son and his Special Assistant Jack Valenti. 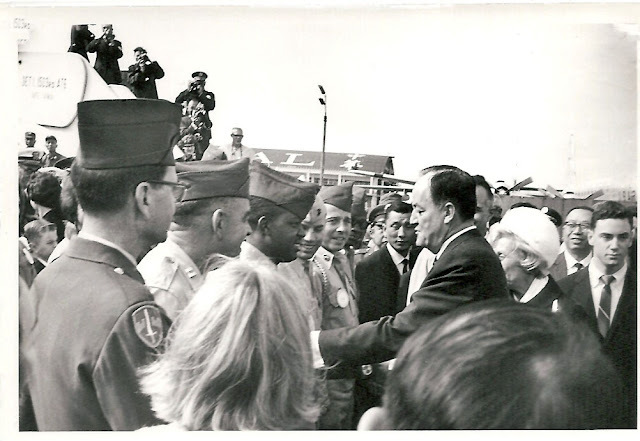 President Lyndon Johnson sent Vice President, Hubert Horatio Humphrey, Jr. to Manila to head-up the American Delegation at the Inauguration of Philippine President Elect Ferdinand Marcos which took place December 30, 1965. Humphrey walks the receiving line, greeted by a host of US and Taiwan government officials as well as foreign diplomatic corps dignitaries. 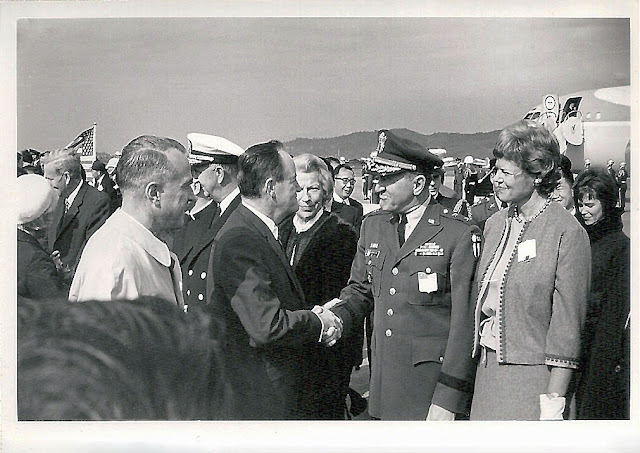 Here he shakes hands and is greeted by Major General Dwight B. Johnson, Chief MAAG Taiwan and his wife. I believe the US Admiral in the left background is Vice Admiral William E. Gentner Jr., Commander, USTDC. Humphrey and Yen review Honor Guard at Sungshan AFB during arrival ceremonies. Humphrey makes obligatory remarks to government officials, guests. newsmen and motion picture cameramen inside Sungshan VIP Lounge. C.K. Yen stands at Humphrey's right..
Humphrey and family press the flesh with US soldiers outside of VIP Lounge area. 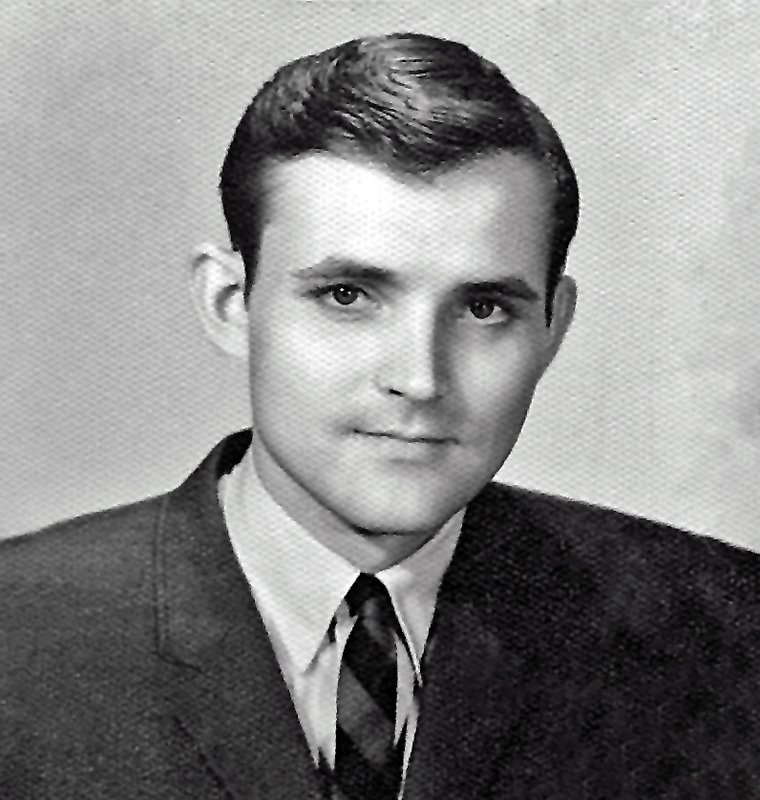 It was reported by news sources that Humphrey met with some US Troops on R&R from Vietnam. These men could have been the troops. 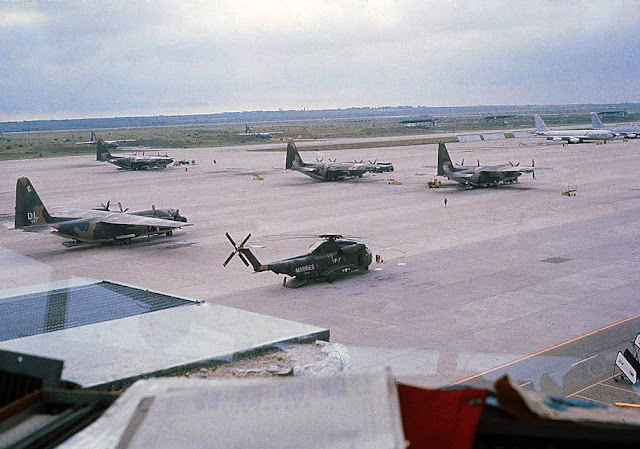 Probably an R&R charter aircraft landed around the same time and some of the men were invited to meet Mr. Humphrey before they headed downtown to the Sea Dragon Club for processing. Attended a Briefing in Premier Yen's Office at the Presidential Office Building. In the trees down the hill from the Grand Hotel, there is a building and some stone shrines. You would not know they were there unless you explored the area which is hard to get to unless you walk down from the hotel and look around. Pretty much hidden from view today, although back in 1966 it would have been more open. 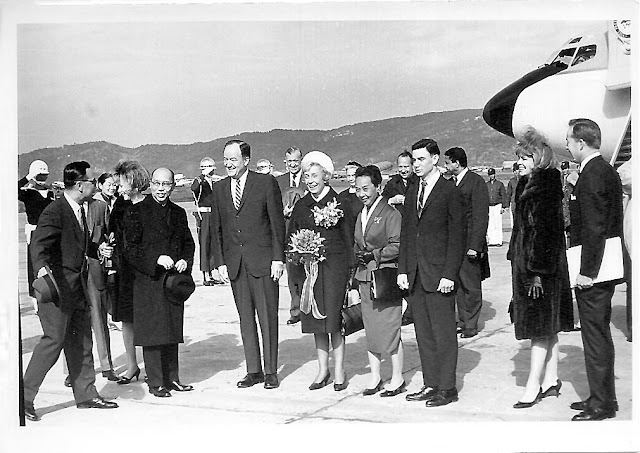 Received by President Chiang Kai-shek at his home in Shihlin. Wonder what their conversation covered? Humphrey stops at his suite in the Grand Hotel. Said to have ordered a number of lamp shades. VP Humphrey visits Central Park and lays wreath at the Memorial to General Chennault, Commander of US Volunteer Air Corps Flying Tigers. 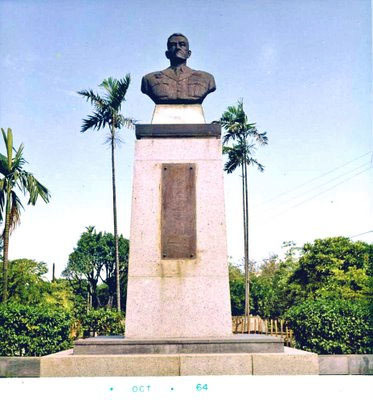 This was the General Chennault Memorial as it stood on the grounds of the "Taipei New Park," in 1964. The plaque, or the outline of it, looks to be missing. Some years later, this Memorial was removed when the park was closed. The park later reopened as the "228 Peace Park." The Memorial was moved to the Museum at the ROC Air Force Base in Hualien. The video seems to cover the series of events of January 1st 1966 during the Humphrey visit. 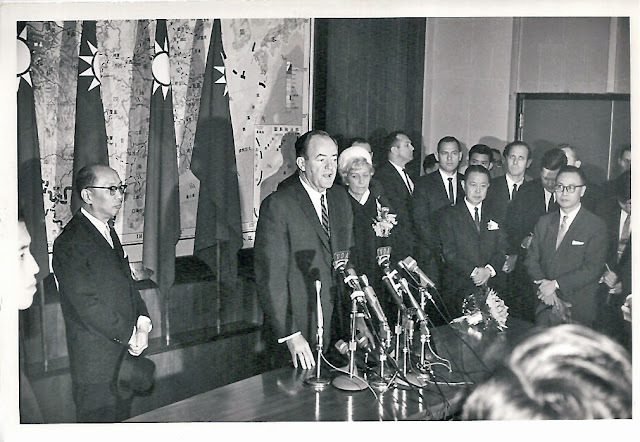 Don over at the USTDC Blog has photos of Mr. Humphrey's departure as his visit to Taipei concluded later in the day, 1 January 1966. The visit lasted approximately 7 hours. As we usher in the New Year 2012, please take a few moments to watch some of the most beautiful scenes of Taiwan you will ever see. Ahh, this film with it's outstanding music, tugs at my heart, an old man tears up. 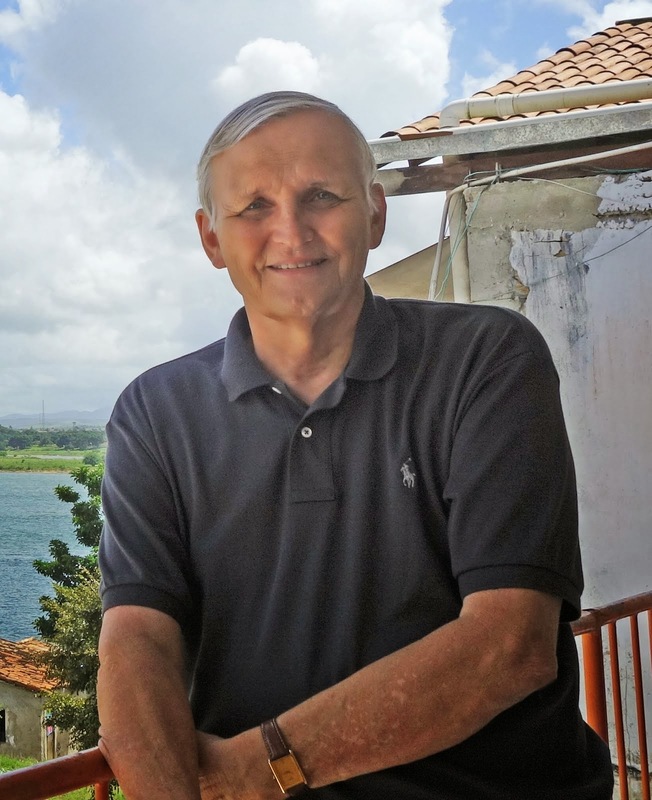 Some of you who are regular readers of this Blog will recall seeing a few posts during the past year or so concerning our "Return to Taiwan Trip." 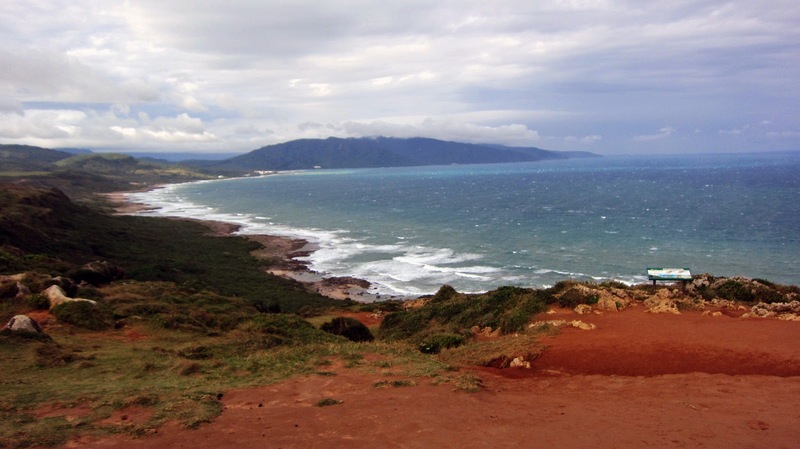 However, travel in Taiwan is something few of us took advantage of. Many folks were so involved in work that there just wasn't time to explore the island. I've started writing the After Action Report for Day 1 of the trip. Before I can upload it, I need a few more photos. We are awaiting some additional photos from folks who went on the tour. Here is the beach at Kenting where US MAAG had some resort cabins. My friend Gene pointed the area out. The cabins have been removed, although there are some other buildings here which may have stood back in the day. In its broadest sense, an expatriate is any person living in a different country from where he or she is a citizen. 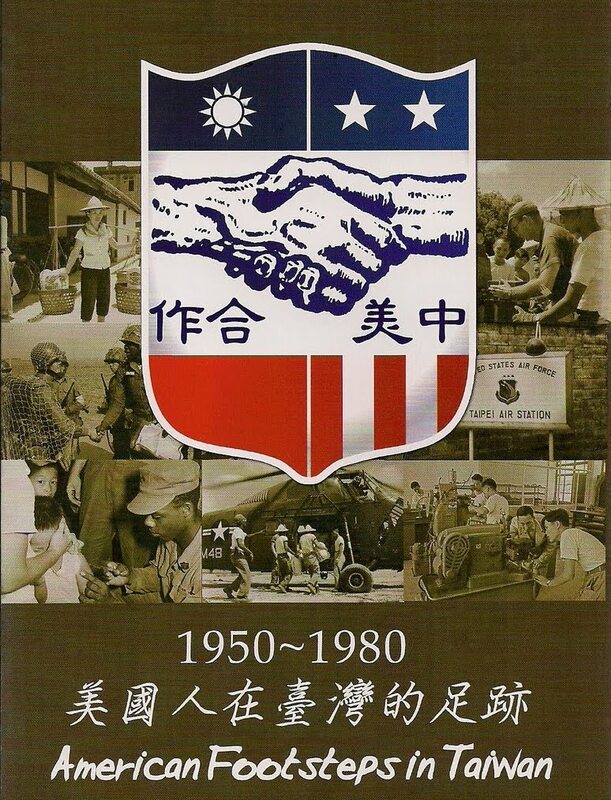 My friend, Eugene Hirte, a US Air Force retiree, who resides in Taichung with his wife, thought it might be a good idea to bring other expatriate former US Military folks residing in Taiwan together in a loosely formed group, forgoing any formal set requirements. We have met and corresponded with some US Military expats, and suspect many others have never checked-in. 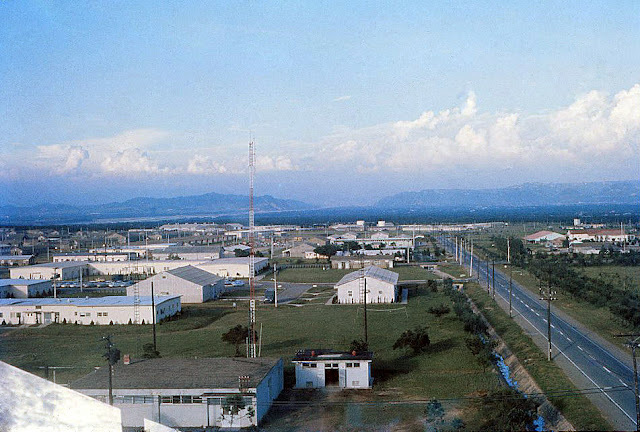 Eugene was stationed at Tainan AB June 1966 to September 1967 and later at CCK from December 1969 to December 1974. He's already started to compile a list of former US Military folks that are married to locals and reside in Taiwan full or part time. Currently, there are a few expats in the Taichung area that come together for breakfast once or twice a month. In addition to having a great meal, these informal gatherings around the breakfast table offer and encourage an exchange of information amongst those attending. 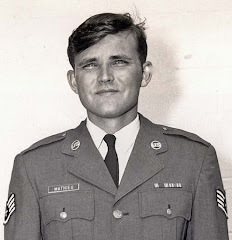 If we have a group consisting of former US Military folks, it is possible to ask the appropriate military authorities for permission to visit some of the old military bases. Eugene envisions having outings once or twice a year to different cities in Taiwan. Eugene can help with information and procedures on relocation to Taiwan, requirements for Alien Registration Cards (ARC), Health cards, Driver's License and Bank accounts. We are not soliciting anything. 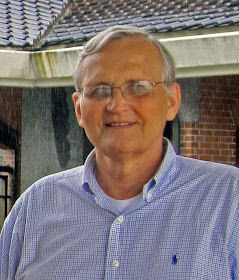 We're offering a way for expat US Military folks in Taiwan to come together on occasion, where we might enjoy our later years with other former military folks. Some of us are retired, some work full and/or part time. Everyone is different. Please consider joining with us, it should be fun, a change of pace, an at-ease time to talk story and have a few good laughs. What you did in the military is of no importance, we're all civilians now! Your ideas and comments are always welcomed. We wish each and everyone, Merry Christmas! 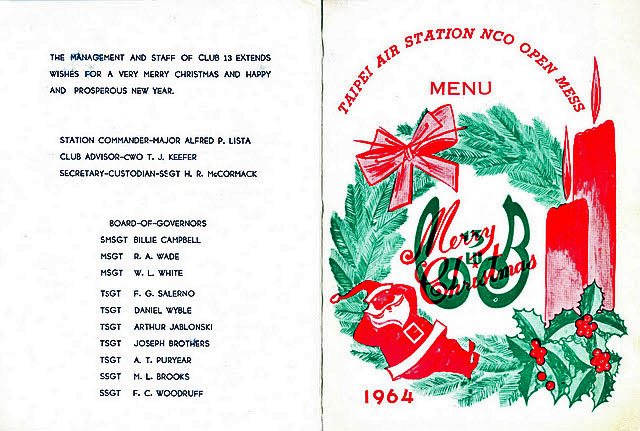 Many of us spent at least one Christmas stationed in Taiwan, so long ago. Those days have passed. Today, Taiwan celebrates Christmas in many ways. 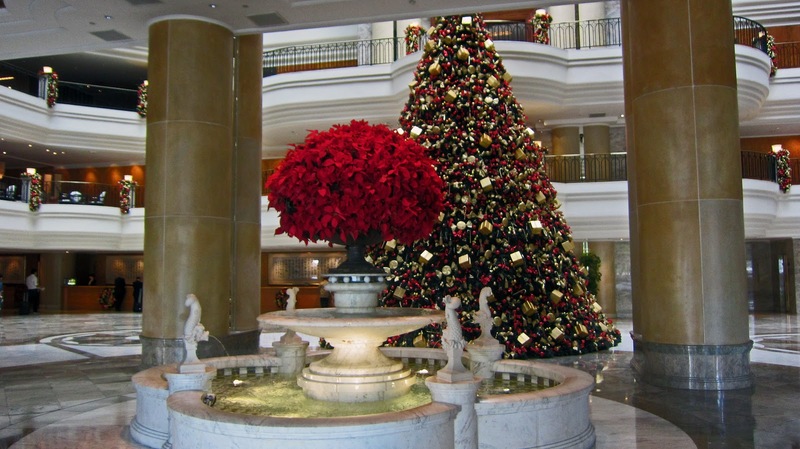 Here's a film, taken in Taipei, photographed in December 2007, as Christmas approached. VIDEO film presentation is HERE. 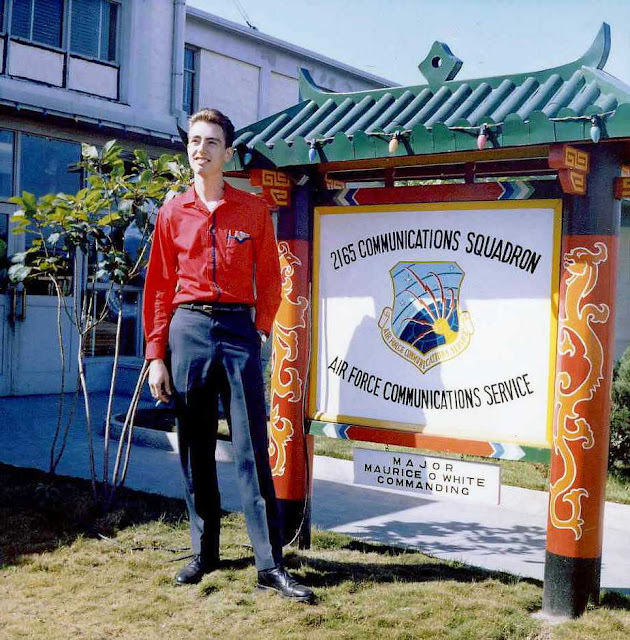 Jim Caumo, stands on the grass area in front of the Cotton Building at Taipei Air Station, Christmas 1964. Jim worked in the Cotton Building. Notice the Christmas lights strung along the top of 2165th Comm Squadron sign. 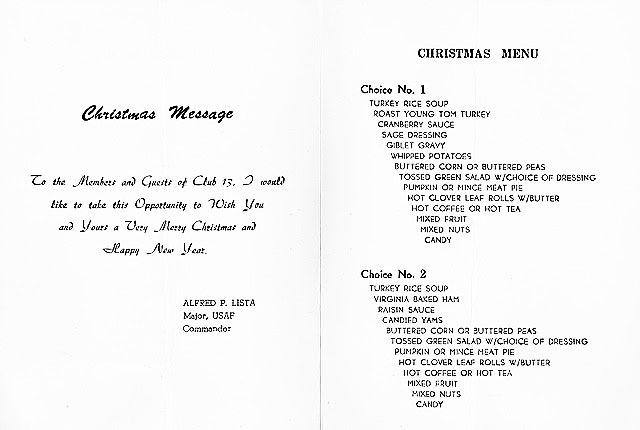 Jim would have had Christmas Dinner at the NCO Club. The club entrance was a few feet behind the photographer. 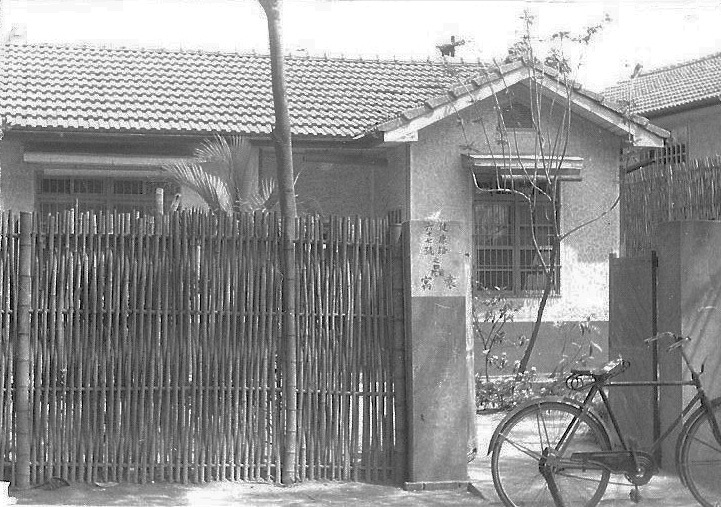 I received these photographs from Edmund Weyn who was stationed at Tainan AB back in 1958. 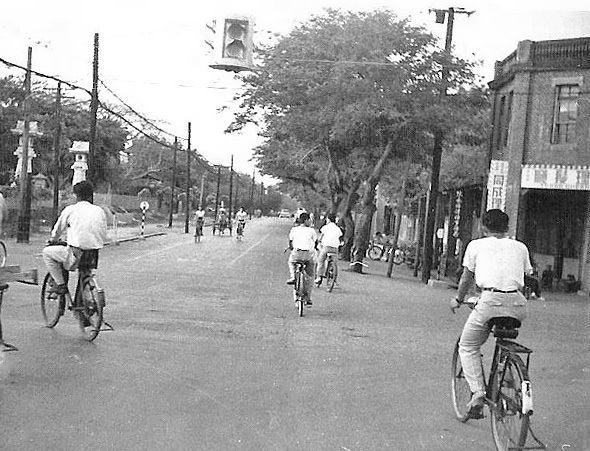 Scenes from Tainan, more than 50 years ago. Traffic light. Anyone recognize the corner? The street is wide with trees destined to shade the roadway and sidewalks. Not sure what buildings these are. My guess, a photo of Edmund for the girl he left behind in the CONUS. Edmund promised to send more photos, says he has lots of photos from his assignment at Tainan. I came across one of my favorite books while rummaging through my desk this afternoon. I've read the book a number of times, but just couldn't resist thumbing through the pages again. 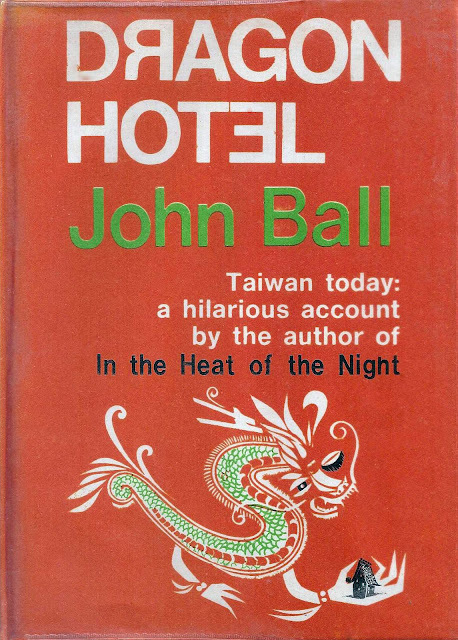 The author, John Ball writes of days and events in Taipei many of us experienced during our visits. His story is familiar, you're drawn in like a fly on the wall, You understand the truth to each situation he encounters. It's difficult to stop, too interesting to put down. John Ball's words in his, Author's Notes: "This book is a novel. What you read in the following pages is real and happened just as it is set down here." .... "To me it is an adventure story; if you think otherwise, then it's a safe bet that you don't know the Dragon Hotel. If perhaps you've missed this enlightening experience, the best I can do is to record the facts - you take it from there." Some of you may have spent some time at the Dragon Hotel. 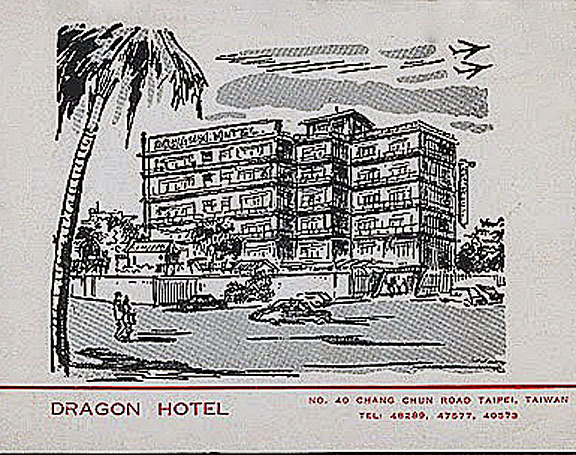 It was listed as a recommended Hotel in the 1960 Taiwan Report. 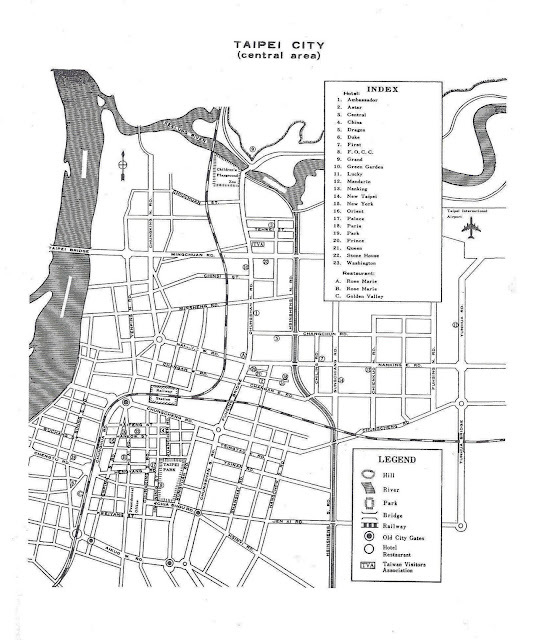 The map below, shows the approximate locations of Taipei Central City Hotels in 1960. Double Click on this map for larger view. The Dragon Hotel is # circle 5 on the map. Take a few minutes acquaint yourself with the shortest route from Sung Shan AFB to the area around the old MAAG Compound, MAAG Officer's Club, Club 63 and the Grand Hotel. The hotel was on Chang Chun Road. 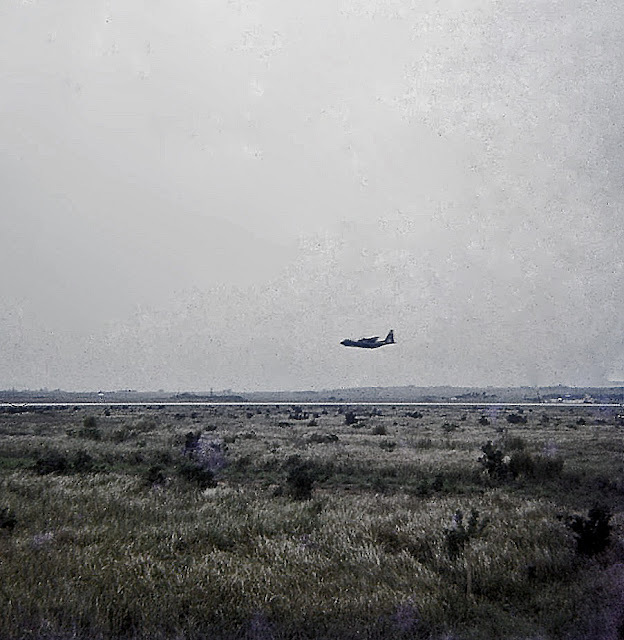 In 1960, folks drove back and forth to Sung Shan AFB, the Taipei Military and civilian airport, using Nanking East Road. If you were stationed in Taipei, it's a guarantee you'll enjoy it. I checked and found this Internet link to ordering the book. Quite reasonable prices. You'll find, all sorts of used copies of the book HERE. Dragon Hotel was first printed in 1969, I don't believe any "new" copies exist. Some of you may have had the pleasure of staying in the Dragon Hotel. If you know anything about the Dragon Hotel, please write or leave a Comment below. Nice letter arrived today from John Perkins who spent his tour working in the CCK Hospital. 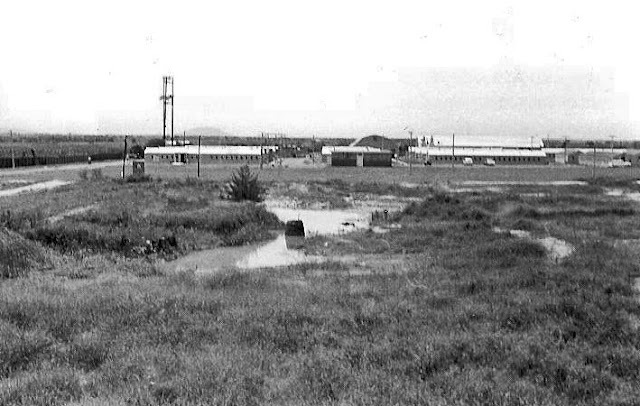 I worked at the CCK base hospital and the base dental clinic during my tour. 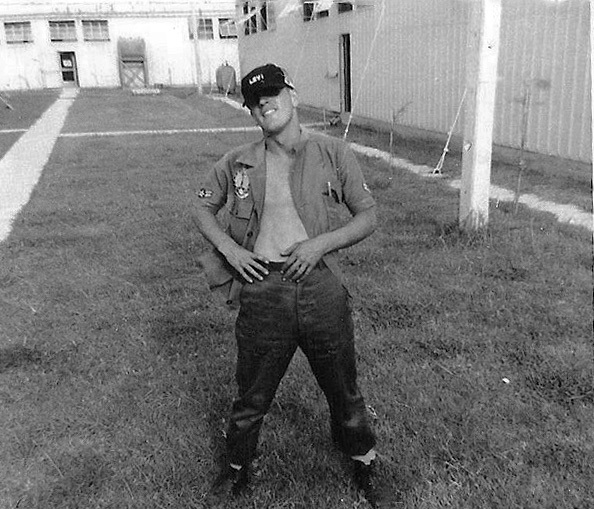 I arrived on-base 9/2/73 and departed 9/2/74. I was in Medical Admin. as a 90650. The first 3 months were very busy processing records out to CONUS and for the wing returning to Clark AB, Philippines. After that it was like a vacation. The work volume dropped so low that our OIC (the ranking officer on-base) cut our work week to 4 days at the dental clinic. I used the extra day off to take the incentive military hop to Taipei every Wednesday. Also took the tour bus on-base to visit all around the island for day and weekend trips. I wasn't a bar hopper but used to play guitar at the base chapel on talent night once a week along with a friend who played a grass banjo. We won 2nd place in a talent contest on airmen Appreciation Day. Loved the base pool at CCK. Taiwanese mothers who would let their toddlers urinate on the floor of the trains I took instead of using the bathrooms provided. I liked taking the local buses (not the smoker-bus by Greyline) because the local buses would give me a military discount fare when I was in uniform,(1.3NT). I loved listening to Wolfman Jack on AFNT and Karl Haas (Adventures in Good Music-All Classical music) on AFNT-FM. Overall, a very good assignment. Earlier this year we wrote about the CCK Base Hospital and their "Unique"unit patch. Many of you also probably remember Wolfman Jack. Read about him. And, check out the CCK Facebook site. More beautiful photos from Steven Sitar. Really an ideal point to take photographs. 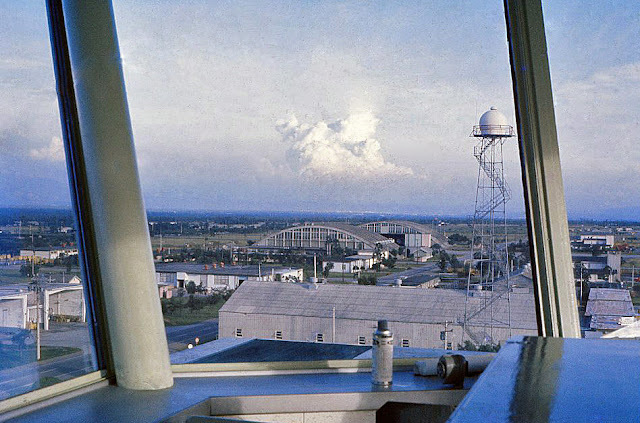 Unless you worked in the Control Tower, you don't realize the difference it makes in how you perceive the area.. You can see so much more. Have you spotted your aircraft? 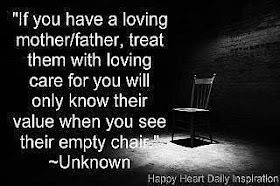 Many thanks to Steven Sitar for sharing. This Taiwan Officer was sightseeing too and kindly posed for this picture in front of an old fort we were visiting. This tank barricade was somewhere near Tsoying. I expect it was built during the years of Japanese rule. This is one of several rice paddies as we drove toward Tainan in 1954. More rice paddies on our drive to Tainan in 1954. This is a side street or alley way in Tainan. 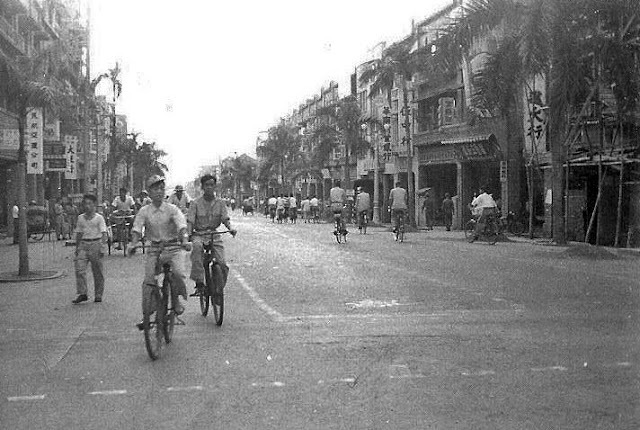 This is one of the main streets in Tainan in 1954. I was with a bunch of sailors out touring from our ship, moored in Kaohsiung harbor. 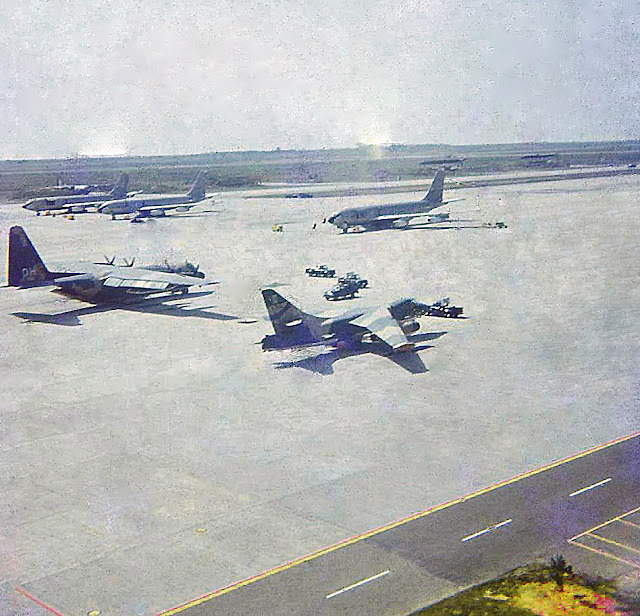 These are military F-84 jets and C-46's at the airport in Tainan Airport in 1954. 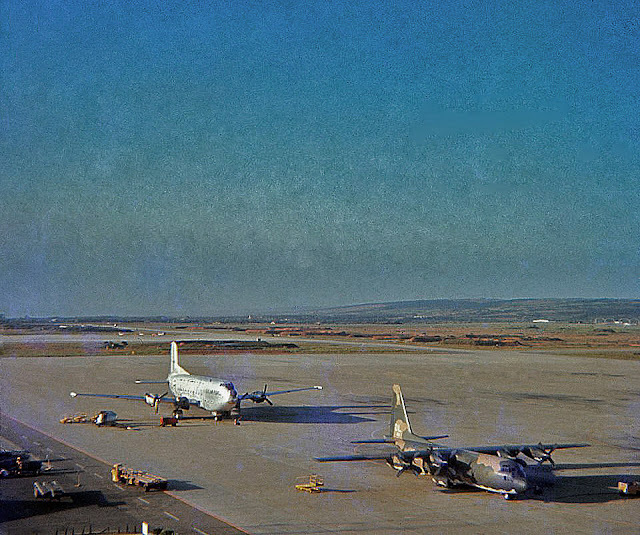 There is a silver colored aircraft parked next to the first C-46, it looks like a C-47. Can anyone else make out aircraft, is it a C-47? 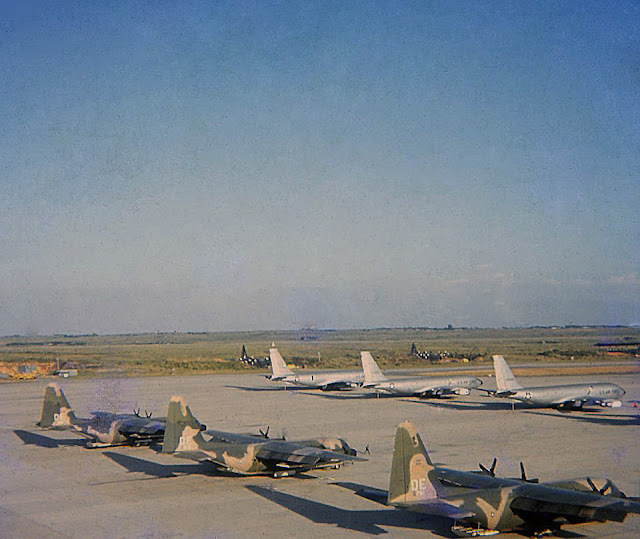 One of the F-84 aircraft at Tainan Airport in 1954. The Tainan airport in 1954. The aircraft is a CAT Airlines C-46. There a C-47 sitting off to the right. This is a black sand beach near Tainan. Our group of touring sailors stopped here for a swim and some fun. Beach Party Liberty at black sand beach near Tsoying. We were relaxing at this black sand beach near Tainan. The Taiwan Marines were here too. This is one of the tracked vehicles they were running up and down the beach. Many thanks to David Putnam for permitting us to post his beautiful color photographs from 1954. 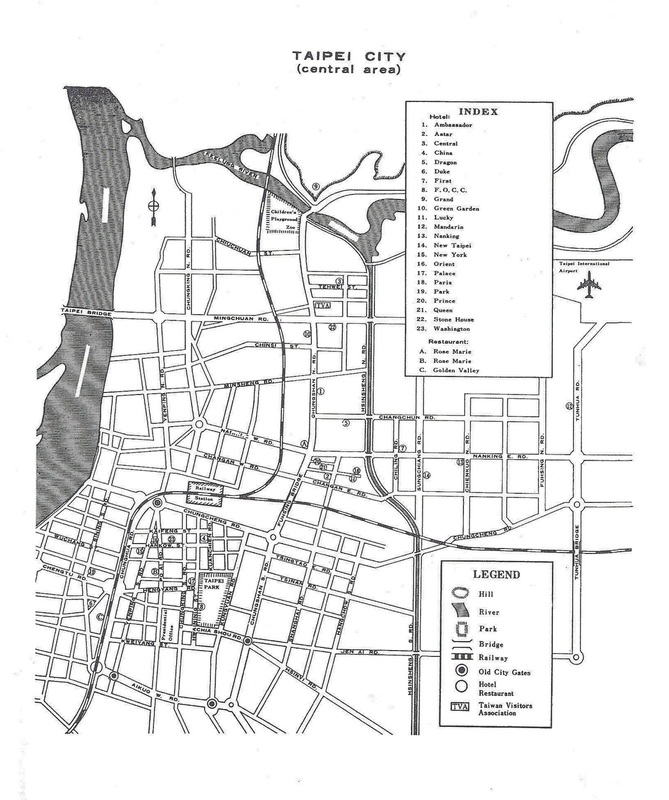 I know many who visit this blog will enjoy seeing how the area looked in 1954. 57 Years Ago! Photo courtesy of Aberdeen News. 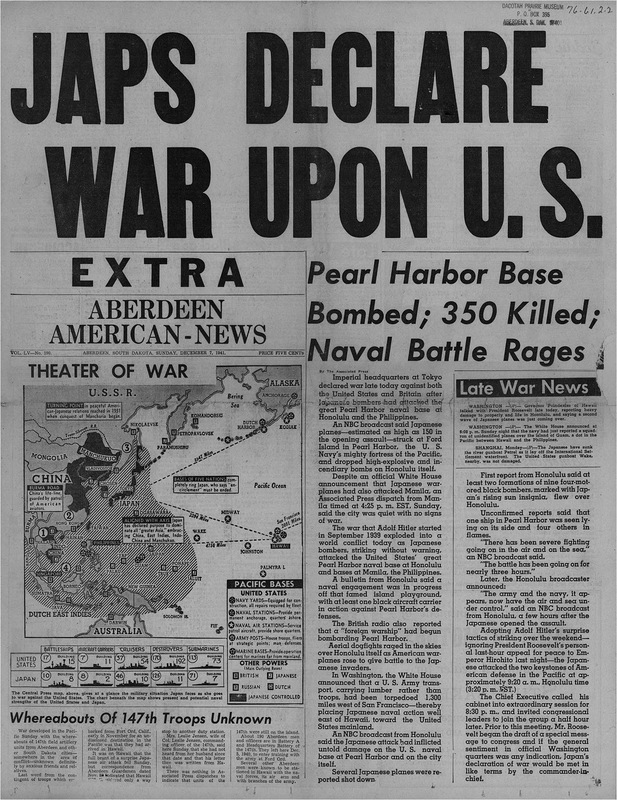 Every newspaper in the United States reported the December 7th attack on Pearl Harbor. This copy comes from a town on the prairie of South Dakota close to where I Iived during my youth. We must always remember what occurred in Honolulu, that Sunday morning, 70 years ago today. There are many in the world who do not have our country's best interests in mind ! 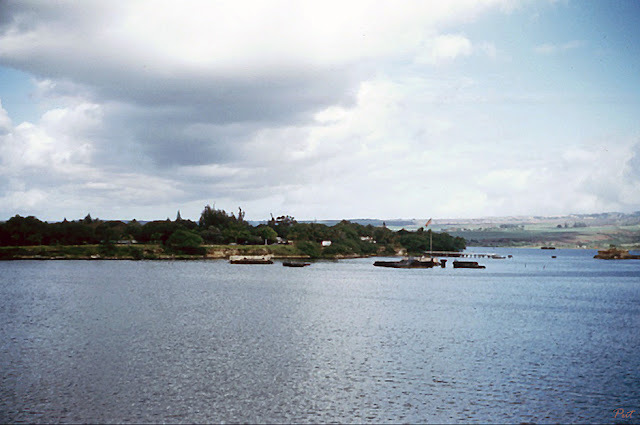 Pearl Harbor - USS Arizona Memorial 1955. Photo courtesy of David Putnam. This estate is located in a rural area outside Kaohsiung. We were invited to have tea here with the Mayor of Kaohsiung. He led us on a tour to a school that educated Aborigine children. It surprised me that there were still Aborigines living in the interior mountains where no one dared enter. Street scene in Kaohsiung, lined with shops and full of shoppers. September 1954. 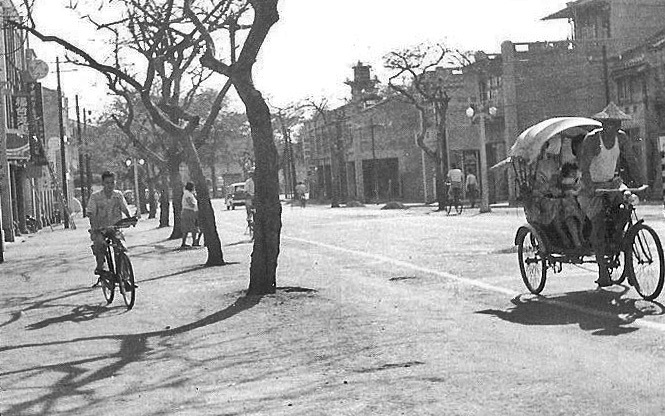 Ox carts such as this were common sights in Taiwan in 1954. An Ox Cart convoy – looks like they are hauling bags of cement. Another 1954 Kaohsiung street scene. The roof top of this building hosted the Officers' Club, which was used by the US Navy and US Army MAAG troops stationed in the area. The second and third floors were NCO and enlisted personnel clubs. This photo taken next door to the Officer’s Club located on the roof. This is a view from the rooftop Officers' Club in Kaohsiung.Can someone identify those 2 radio towers in the distance. Thank you. Now we’ll move out of Kaohsiung northward toward Tainan. We were told that this is the tomb of a king. To us, its design was new and exotic, unlike anything we had seen before, although it did remind us somewhat of the Tiger Balm Pagoda in Hong Kong. We (USS Tolovana AO-64) are in Kaohsiung supporting four Destroyers. Some of us took a little sight seeing trip to historical Tainan, the first capital of Taiwan. As we entered a compound of Buddhist monks I saw this guy resting here and snapped off a shot. I am looking back at the gateway we just came through on our way to look around this monastery. Courtyard of the monastery we visited in Tainan. This, we were told, is a monk doing laundry beside a well . . . inside the monastery. This is a park below the monastery we visited. This is a view from a monastery in Tainan, Taiwan showing the rooftops of the clustered houses below and the bay beyond. A house and yard in Tainan near the monastery we visited. This pill box was in the yard of a monastery in Tainan. No doubt a left over from Japanese rule, which ended in 1945. Many more photographs from David Putnam in our next post.